Construction of the Newcastle Bypass between Sandgate and Shortland filled a missing link in the regional road network. The project involved construction of 2 kilometres of 4-lane highway from the Pacific Highway at Sandgate to the existing section of Bypass at Shortland. Major bridges were constructed over the main northern railway as well as Deep Bridge Creek as key components of the project. Corkery Consulting was engaged by SKM on behalf of the RMS/SKM Alliance to provide landscape and urban design services for the project. The landscape works were successfully integrated with the road works that included cut and fill slopes and a major new intersection with the old Pacific Highway at Sandgate. Corkery Consulting carried out an initial site analysis as input to the Landscape and Urban Design Report, which was prepared in association with PAA Design and Suters. 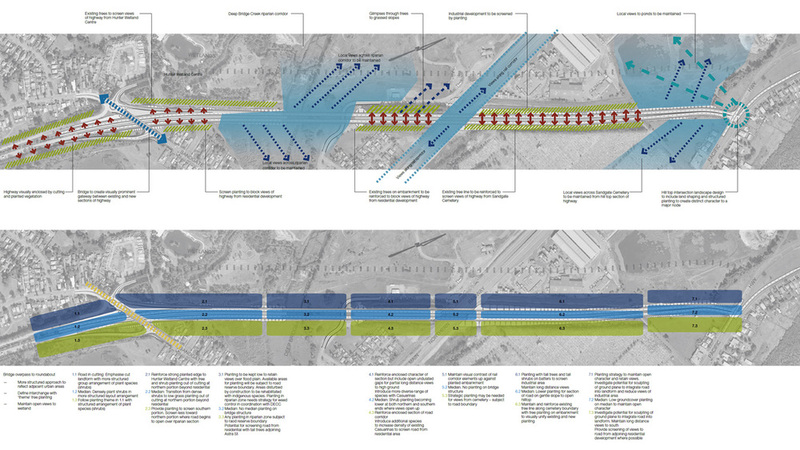 The Report provided a framework for detailed design and documentation. ‘gateway’ at the Pacific Highway interchange using sculptured landforms and Hoop Pine planting . 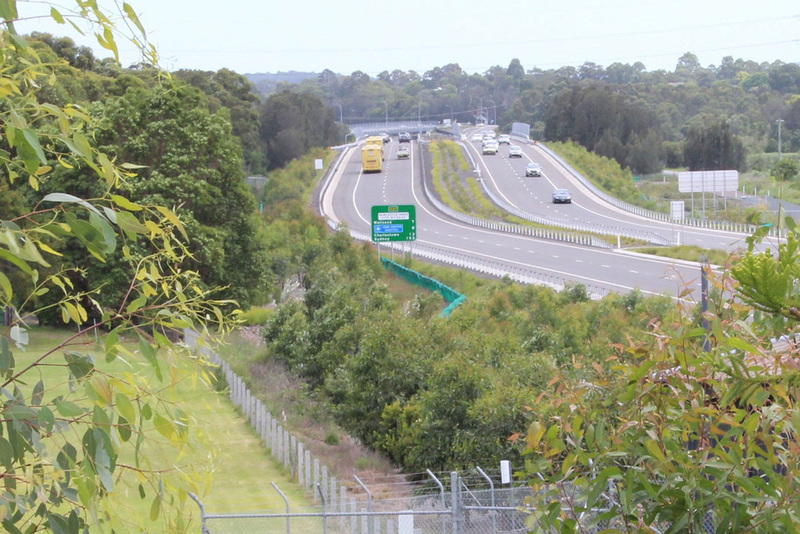 Long distance views from the elevated northern portion of the Bypass were retained and a vegetation buffer created along the Sandgate Cemetery edge. fill embankments, cut slopes, alluvial floodplain areas and sections of road corridor located on upper slopes and a hill top. Corkery Consulting prepared full detailed design and documentation of the landscape works, which included tree and shrub planting, hydro-seeding and top soil management.